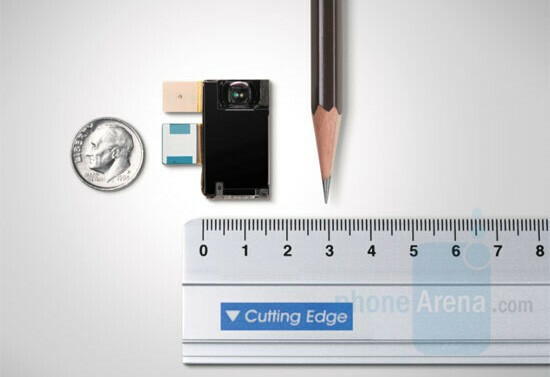 Samsung Electronics introduced the “world’s first” ultra-thin 8-megapixel camera module for cell phones. Currently the best cameraphones offered on the U.S. market are with only 5-megapixel camera. The small size (8.5-mm thick) and the resolution capabilities are not the only innovation offered by the new CMOS sensor. Here we also have a “Low Light Trio”, which includes an anti-shake system, the “super” noise processing technology and the ability to use ISO 1600 level of sensitivity. . 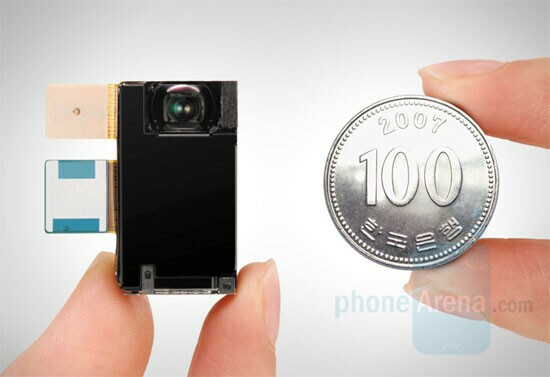 The new mini device is also capable of Super Macro shooting up to 1 cm. The face detection seen in the previous models of the company (such as G800, Soul, G400), now features “photography Smiles” and “eye flicker recognition” features. We guess, the first one automatically snaps a picture as soon as it detects a grin on a face in the viewfinder and the second one lets the camera know if there are eyes “seen” as closed so it waits before snapping the photo. The sensor is expected to be commercially available in the second half of 2008. VZW better get going on this new technology!!! the thing people need to realize is megapixel isn't a measure of quality, it's a measure of size. A very high-quality 2-megapixel lens will still show better pictures than an average-quality 8-megapixel lens.